Rock and roll and fast cars go together like cheese and onion, so Yorkshire's Harrison Custom Guitar Works created an Alfa Romeo guitar. 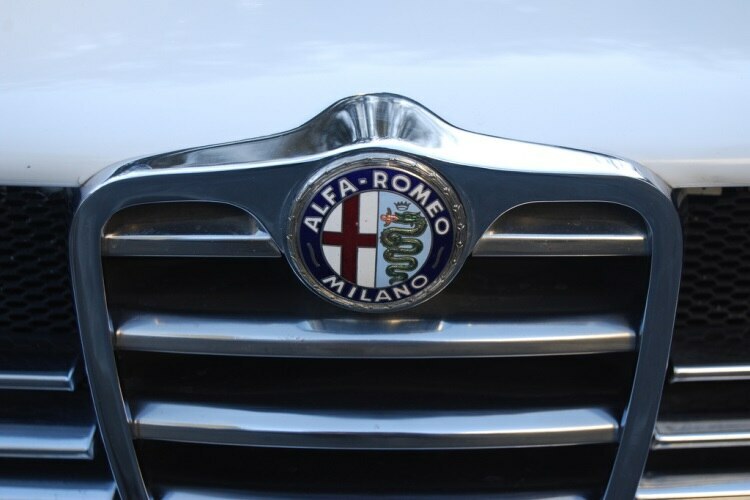 The strings are stretched over what looks like an Alfa's front grille and the instrument even wears the Italian firm's badge. Eleven units are to be built at a cost of £4,000 each. A stylish, expensive collaboration with furniture maker, Zanotta, that bears no resemblance to the seats found behind the wheel of the auto maker's cars. That's right, ceramic Christmas baubles in Lambo orange and featuring the company's logo. They come in a set of three for those who really, really love Lamborghinis. Before it made cars, the French company was known for its tools and its salt and pepper mills. The latter are still made by Peugeot, which claims to have racked up more than 900 different designs of mill over tens of millions of units produced. Completely and utterly pointless but the funkiest ice cube tray ever to adorn a freezer. Ferrari has officially licensed its name to this collection of clubs, clothing, footwear and other golf accessories. Keen to bring its motoring technology to the endeavour, Ferrari has even put its badge on a super aerodynamic driver. A side project with more substance, the Lotus 108 bike was a pioneer of cycling technology and propelled the career of Chris Boardman to greatness. British cycling owes much to its performance and design. Bugatti has become a byword for ostentatious expense, and the Bugatti hookah is no exception. Arguably only those who would shell out a million pounds for one of the numerous 'final' edition Veyrons would be happy to spend £59,000 on this luxury pipe by Bugatti with Desvali. For that money you could buy a Porsche Cayman GTS and still get change. There's nothing like catching them young when it comes to building up customer loyalty, an idea Jeep seems to have taken to extremes with this attempt to scoop up the infant market.